This week I am sharing the beautiful Flower Cart Die. I'm afraid I don't have extra photos to show you what I did here. and the photos didn't work. However, it's very easy to explain. I began by choosing the pretty paper. 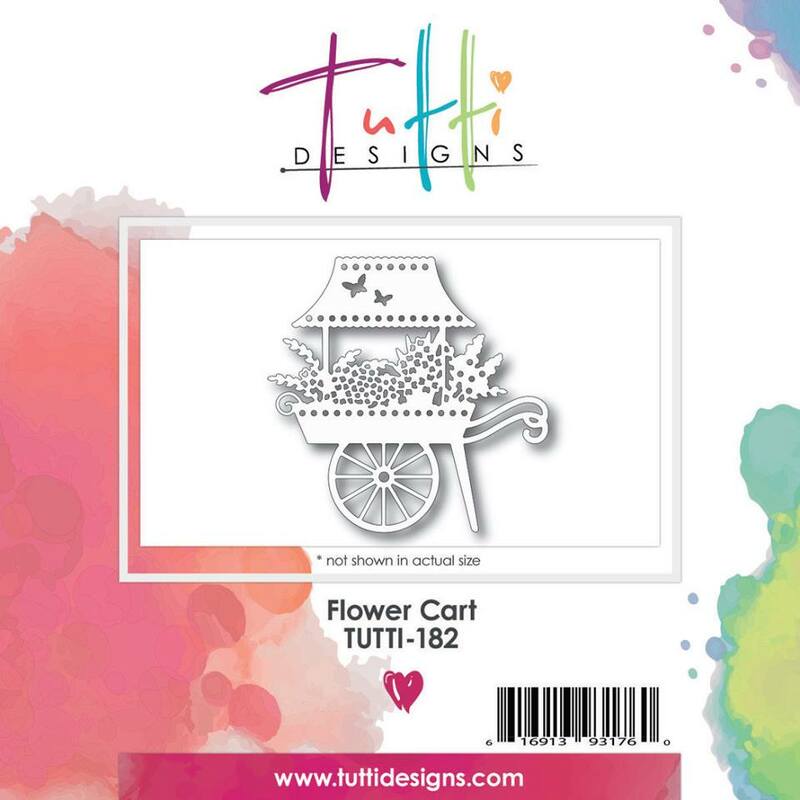 Next, I decided what color I wanted my flower cart to be. I cut two of the dies out of this pretty turquoise cardstock. The first cut was adhered in place on the background paper. and cut the die partially, focusing on the flower section. I then trimmed this cut to only the flowers. I adhered it only on the bottom, and off-set it slightly. This gives some added dimension and texture. Next, I moved on to the second turquoise cardstock cut. curled it up a little bit, and adhered it. and adhered it over the flowers. Here you can see the dimension better. I also added the butterflies that I had reserved from one of the cuts.